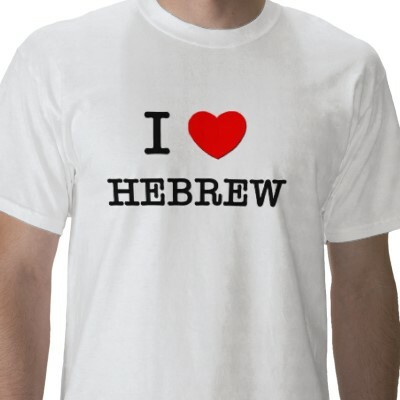 I am now in my second year of Biblical Hebrew. It is hard. But so very cool. When it makes sense--when I successfully translate (whatever that means) a passage and see the nuances in the Hebrew that don't come across in English--it's incredible. Seeing the semantic and theological implications of Hebrew word choice and grammar is exhilarating for me. Yes, I'm a dork, but this stuff is amazing notwithstanding. Of course, Hebrew can also send you on a wild goose chase trying to figure out what the heck it's saying. Hebrew words are based on 3-letter roots, which sounds nice but becomes problematic when you're trying to look up some strange form of a verb that has dropped both its first and last r oot letter. Then there are the forms that look exactly alike but have completely different meanings. 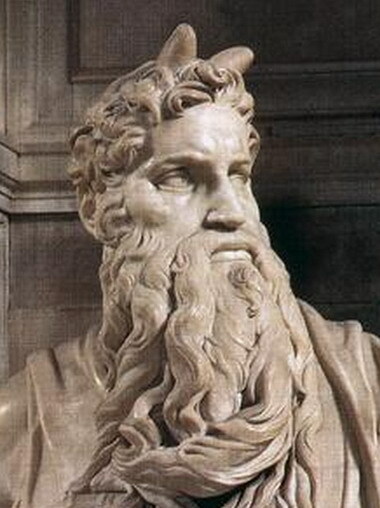 That's how Moses (a la Michelangelo) wound up with horns on his head instead of a "radiant" face (thank you, Vulgate, 4th-century Latin translation of the Bible) via Exodus 34:29-30. The other day, my Hebrew teacher gave her "Hebrew and psychology" spiel. She told us that Ellen Davis (a Bible and Practical Theology prof at Duke Divinity, to whom my teacher refers as "Hebrew Yoda") can still spend days stuck on a single word in the Hebrew Bible. Sometimes you just don't know what is going on in the Hebrew, and often you're not alone. In fact, there are plenty of places in the Hebrew Bible where scholars admit they're not really sure what's happening and have essentially made an educated guess. Hebrew requires work and will reward you, but it can also frustrate the daylights out of you. I'm finding my Hebrew studies to be informative to my attempts at following Christ. If you want to be a disciple, you really have to dig deep into the Scriptures and into yourself. The rewards are unimaginable, but the pain and cost are real. I quote Dietrich Bonhoeffer compulsively (the gender-exclusive version, because it sounds so much cooler)--"When Christ calls a man, he bids him come and die." Anyone who offers you Christ in a way that is easily digestible and fits neatly into your life as it stands is not giving you the Gospel. Following Christ means putting yourself at the mercy of an unpredictable yet steadfast God, being willing to confuse a radiant face for horns and taking correction from the (ideally) honest yet loving body of Christ. When I really throw myself into a Hebrew translation and emerge with even a feeble grasp of the intricacies of the passage, I am giddy and hungry for more. The excitement of that moment would be so much less--perhaps even nonexistent--if I didn't have to pour sweat and tears into it. How much more so should I rejoice every time God grants me a new sliver of his vision as encouragement for me to continue to walk through the valley, to climb the mountain, to see the unseen?